There is a continuing virtual flood of information on Switzerland's recent moves and some ripple effects of the U.S. and the U.S. inspired other-country initiatives to get past offshore bank secrecy to chase major sources of tax revenue. It is reported that the new Swiss proposal and earlier less dramatic moves to share information with the U.S. have many Swiss bankers and related enablers worried. See James Shotter, Swiss tax proposal jolts bank workers (Financial Times 5/31/13) here. Some of the personnel involved in the egregious conduct have already been indicted by the U.S. More are being considered for indictment, along with some of the more egregious banks who took in U.S. customers -- including significantly UBS customers -- after UBS was forced to close its tax evasion enabling business. Private banks in Singapore and Hong Kong will capture an ever-larger share of global wealth held offshore as the ranks of the super-rich in Asia grow faster than elsewhere in the world, according to a report from the Boston Consulting group. Offshore wealth rose by 6.1% globally to $8.5 trillion last year, the new BCG study said, and will continue to grow apace as high net worth people seek to protect their wealth by stashing it where there is political stability, a low tax burden and banking expertise. The Swiss government said on Wednesday that it would let its banks sidestep the country’s secrecy laws to disclose names of clients in a move intended to help resolve a long-running dispute with the United States over tax evasion. The decision is a turning point in what has been an escalating conflict between the two countries. Switzerland’s finance minister said the move would probably enable Swiss banks to accept an offer by the United States government to hand over client details in exchange for a promise against future legal repercussions. “It is important for us to be able to let the past be the past,” Eveline Widmer-Schlumpf, the finance minister, said at a news briefing in Bern, Switzerland. She declined to give any details about the program, but said banks would have one year to decide whether to accept the American offer. Ms. Widmer-Schlumpf said on Wednesday that the government would work with Parliament to quickly pass a new law that would allow Swiss banks to accept the terms of the United States disclosure program. She said the new law would make it possible for banks to take part in the program, but that it would be up to each individual bank whether to participate. Ms. Widmer-Schlumpf declined to say how much banks might have to pay. But she said the Swiss government would not make any payments as part of the agreement. With this development, I am sure that the IRS will be sending a lot of John Doe treaty requests. I reported on one yesterday involving Julius Baer. U.S. Treaty Request for Julius Baer Domiciliary Company Accounts with U.S. Beneficiaries (Federal Tax Crimes Blog 5/28/13), here. That deal which was negotiated before this new development picked off the worst cases -- i.e., the cases with intervening entity classified as a domiciliary company. With this new development, the question is whether the John Doe treaty requests need be quite so narrow to get the worst cases but will be able to get the less problematic as well. The Swiss government is considering a proposal to disclose bank client names and pay a multibillion-dollar fine to the United States to help resolve a long-running dispute between the two countries over the handling of tax-evasion cases, American and Swiss sources briefed on the matter said on Tuesday. The fine, which could reach at least $7 billion to $10 billion according to these people, could be paid in part by the Swiss government, which would then seek reimbursement from the banks. The Swiss banks that have been the targets of investigations include Credit Suisse, which disclosed in July 2011 that it had received a letter saying it was under a grand jury investigation; the Zurich-based Julius Bär; two cantonal, or regional, banks; the Swiss operations of HSBC Holdings; and three Israeli banks, Hapoalim, Mizrahi-Tefahot Bank and Bank Leumi. Members of the top echelon of the Swiss government known as the Federal Council are expected to discuss the matter as early as Wednesday, according to people briefed on the talks. These people asked to be unidentified because the discussions were continuing. Hans Kaufmann, a Swiss parliamentarian and member of the conservative Swiss People’s Party, said that various levels of Parliament would be informed of the Federal Council’s decision in stages over the next 10 days or so. The IRS is seeking information with regard to accounts of certain U.S. persons (as beneficial owners) owned through a domiciliary company (a "DC") that have been maintained with Bank Julius Baer & Co. Ltd. ("Bank Julius Baer" or "the Bank") In Switzerland- as applicable in any given case in the ''IRS Treaty Request"- at any time during the period from January 1, 2002, to December 31, 2012. These accounts include such held by a domiciliary company (a "DC account") with a U.S. beneficial owner that included U.S. securities but for which the Bank has no record of the timely filling of accurate Forms 1099 naming the account's U.S. beneficial owners and reporting to the IRS all payments made to such U.S. beneficial owners and for which there is evidence that the U.S. beneficial owner exercised control over the account in violation of the DC's corporate governance. Since, as noted in the article, Julius Baer is only one of at least 14 financial firms being investigated, I think we can expect to see more such requests. It is interesting that, at this time, the requests are only for accounts that use a "domiciliary company." Directly owned accounts are not within the scope of the treaty request. Don't know precisely what to make of that without more speculation than I am willing to make. DOJ Tax recently announced, here, that Michael Parker had been sent to prison for 54 months pursuant to his plea of guilty to one count of conspiracy (a Klein Conspiracy). Some readers may recall that Mr. Parker had been originally indicted along with David Haynor and Jon Flask to charges, including conspiracy, related to tax shelters which they promoted. In 2009, Mr. Parker pled guilty to the one count of conspiracy. See DOJ Tax Press Release, here, and Guilty Plea in SLOTS Tax Shelter (Federal Tax Crimes Blog 12/19/09), here. Messrs. Haynor and Flask went to trial and were acquitted. See my prior blogs on facets of that trial and acquittal, Good Faith as a Defense to Tax Crimes (Federal Tax Crimes Blog 2/9/13), here, and Jury Instructions in Tax Obstruction and Klein Conspiracy Case (Federal Tax Crimes Blog 2/6/13), here. According to the plea agreement and statements made during trial and related proceedings before U.S. District Judge Sandra S. Beckwith in Cincinnati, Ohio, Parker admitted to conspiring with others to defraud the IRS with regard to tax shelter transactions. Parker, a CPA and an attorney, acted as the Chief Operating Officer of TransCapital Corporation during the alleged conspiracy. Parker testified at the trial of an accountant who was a tax partner at KPMG, LLC, at its Tysons Corner, Va., office, and an attorney for TransCapital, both of whom were acquitted of conspiracy charges after a four-week jury trial. According to the plea agreement, trial testimony and other statements, from 1998 through 2006, Parker and others marketed and implemented a tax shelter to KPMG clients called the Sale Leaseback of Tenant Improvements Strategy (SLOTS). The SLOTS shelter enabled client corporations to claim tax deductions totaling more than $240 million on corporate income tax returns filed with the IRS. During 2002 through 2004, the IRS audited three U.S. corporations that had claimed losses generated by SLOTS transactions, including The Kroger Company. Parker identified Kroger as the Fortune 500 corporation that did the largest SLOTS tax shelter transaction, and which claimed over $178 million in loss deductions, causing over $64 million in tax loss to the IRS. Parker admitted that he and the others conspired to impede and impair the IRS by making false and misleading statements to IRS agents and attorneys during these audits, including the Kroger audit. Additionally, Parker admitted that he and others concealed certain aspects of the tax shelter transaction from SLOTS clients, including Kroger, for the purpose of impeding and impairing the IRS. Parker further acknowledged that the SLOTS tax shelter and related transactions were themselves nothing more than devices to disguise and conceal mere financing transactions. Most readers will already know that Lois Lerner, a manager in the IRS division processing Section 501(c)(4) exempt organizations applications, invoked her 5th Amendment privilege in the House Oversight Committee public investigation (more akin to an inquisition than an objective search for truth). The manner in which she invoked the Fifth was to first proclaim her innocence of criminal wrongdoing and then invoke the Fifth without being proffered any specific questions. I want to address both aspects of what she did. First, she advised the Committee that she would invoke the Fifth. She did not do that in response to specific questions, which is the way the Fifth should be invoked, for only in the context of a specific question or questions can the validity of the assertion of the Fifth Amendment be determined. The corollary to that is that, she cannot be held to have improperly invoked her Fifth Amendment privilege unless she is propounded the question(s) and asserted the Fifth in response to the question(s). The Committee did not propound the questions. Hence, there is nothing to ask a court to compel her to testify or to hold her in contempt for failing to answer. I suppose the Committee could cure that by recalling her and propounding the questions -- either in a public session or a private session. Then the Committee could have something to enforce. It is well established that a witness, in a single proceeding, may not testify voluntarily about a subject and then invoke the privilege against self-incrimination when questioned about the details. See Rogers v. United States, 340 U.S. 367, 373 (1951). The privilege is waived for the matters to which the witness testifies, and the scope of the “waiver is determined by the scope of relevant cross-examination,” Brown v. United States, 356 U.S. 148, 154—155 (1958). “The witness himself, certainly if he is a party, determines the area of disclosure and therefore of inquiry,” id., at 155. Nice questions will arise, of course, about the extent of the initial testimony and whether the ensuing questions are comprehended within its scope, but for now it suffices to note the general rule. The IRS has posted a web page reminding U.S. taxpayers with foreign assets of their U.S. tax and related obligations. See IR-2013-54 (5/23/13), titled IRS Reminds Those with Foreign Assets of U.S. Tax Obligations, here. The filing dates for nonresident U.S. citizens and resident aliens. Filing obligations of nonresident aliens with U.S. source income. U.S. worldwide tax system requiring the reporting of income whereever it is earned or sourced, along with the Schedule B question about ownership or signatory authority over foreign financial accounts. The obligation to file Form 8938 with Form 1040 to report specified foreign financial assets. The obligation to file FBARs. The opportunity for efiling, including Free File for taxpayers earning less than $57,000. Ms. Rosales was arrested incident to the complaint. I don't recall that arrests were involved in many prior indictments. But, then, for the reasons noted below, this is not the ordinary tax case. Other potential nontax misconduct may be animating treatment outside the tax crimes mainstream. According to the indictment, although the investigation started "in or about 2009" -- criminal allegation speak for 2009 with some fuzziness, the investigation was an FBI investigation was into "the sale of various works of art that have been alleged to be counterfeit." Ms. Rosales was heavily involved in the activity investigate. The IRS agent became involved in the investigation in 2012. (As noted above, she was not charged for any crime the FBI has authority to investigate (i.e., the FBI can't investigate tax crimes); hence the involvement of the IRS may have been to get a quick charge and arrest with perhaps an expanded indictment to follow (although the general five year statute of limitations for non-tax crimes may have been a factor, since tax crimes generally have a six-year statute of limitations, see Section 6531, here, which does not include the time the person is out of the country, which I suspect was significant in Ms. Rosales' case.) Alternatively, as noted below in the New York Times article perhaps the art works even if fake were good enough that the Government might have difficulty proving they are fake in a criminal trial. 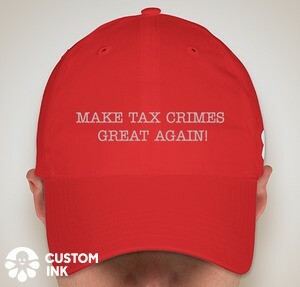 As is not uncommon, if they are not sure of making another criminal charge for a pattern of conduct, a tax crime may be the way to go (a la Al Capone). Of course, if it proceeds as a tax case only, whether the pattern of conduct from which the income arose was otherwise illegal will come up in the two level upward adjustment to the Base Offense Level where the Government need prove the illegality only by a preponderance of the evidence and that likely will have been proved in the trial itself if she does not plead. Of course, the sentencing range is already so high that adding the two level adjustment is probably irrelevant to the sentence she will receive. 1. Use of the Terms "Tax Evasion" and "Failing to Pay"
Defendant has been charged with three counts of misdemeanor tax evasion under 26 U.S.C. § 7203 for failing to pay his personal income taxes in 2006, 2007, and 2008. (Doc. #49 at 1) (filed under seal). Defendant objects to the use of the terms "tax evasion" and "failing to pay," both on the ground that they misrepresent the Information. The arguments related to each of these terms are slightly different, so the court will address each term separately. First, Defendant argues that use of the term "tax evasion" is inappropriate because Defendant was not charged with felony "tax evasion" under § 7201, but with a misdemeanor violation of § 7203. (Doc. #55 at 1-2). This is a strawman argument. The court did not say that Defendant is charged with felony tax evasion under § 7201, but that he is "charged with three counts of misdemeanor tax evasion under 26 U.S.C. § 7203." (Doc. #49 at 1). The court is well aware that a § 7201 violation is a felony and a § 7203 violation is a misdemeanor. Courts have long distinguished the two by referring to the former as "felony tax evasion" and the latter as "misdemeanor tax evasion." n1 The term "misdemeanor tax evasion" is, of course, a shorthand for "willful failure to file return, supply information, or pay tax in violation of 26 U.S.C. § 7203." To help ensure that a reader might not accidentally read "misdemeanor tax evasion" to mean "felony tax evasion," the court specifically indicated that Defendant was charged with three violations of 26 U.S.C. § 7203. (Doc. #49 at 1). n1 See e.g. United States v. Winfield, 960 F.2d 970, 972 (11th Cir. 1992); United States v. Brown, 548 F.2d 1194, 1199 (5th Cir. 1977); United States v. Schafer, 580 F.2d 774, 781 (5th Cir. 1978); United States v. Thompson, 518 F.3d 832, 866 n.18 (10th Cir. 2008). Many of this blog's readers will be interested in Bill Sharp's recent article. William M. Sharp Sr, Navigating Offshore Tax Hazards: An Update 655 (TNI 2013), here. All of his article is very good and worthy of reading. I incorporate only a couple of anecdotal excerpts below that I found particularly interest. Another beneficial aspect of the OVDP addresses the once-questionable "quiet" submissions, which were generally discouraged in the 2009 and 2011 programs. n11 In its frequently asked questions, the 2012 program clarifies that submissions under the IRS voluntary disclosure "practice" may still constitute valid voluntary disclosures as far as resolving criminal tax exposure but does not guarantee that criminal treatment will be avoided. The OVDP also cautions that those submissions will not be eligible for the certainty of the OVDP's penalty framework. n12 This good news raises the question of when the noncompliant client should pursue remedial relief under the IRS voluntary disclosure "practice" instead of filing under the OVDP. n11 See FAQs 15 and 16 of the 2012 OVDP and 2011 offshore voluntary disclosure initiative, as well as FAQs 10 and 49 of the 2009 OVDP. Submitting a practice filing (versus entering the formal program) can turn into a nightmare for all involved if the practitioner has been given incorrect information, misinterprets the law as applicable to the facts, or does not have a complete file of what actually occurred regarding the noncompliant offshore activities. Omitting a single offshore account from the disclosure package could not only cause the practice submission to be rejected during the assumed examination process, but depending on the facts, could also lead to a criminal investigation with a follow-on criminal referral to the DOJ, as well as expose the taxpayer to substantially higher taxes and penalties. Although having an incomplete file or other glitch in the context of an OVDP case filing does not insulate the filing taxpayer from criminal or increased civil exposure, in the context of a "defective" practice filing, the IRS may be less forgiving. And as a practical matter, some practitioners who advise clients to pursue the practice alternative incorrectly believe that merely filing amended tax returns and late FBARs will be sufficient and that such a filing requires less critical thinking than a submission under the OVDP. This is not so. The Personal Income Taxation Committee of the New York City Bar Association, here, has sent the IRS a letter, here, asking that the IRS reconsider disqualification of taxpayers previously accepted into OVDP. Based on public reports, it appears that the total number of taxpayers directly affected by the disqualification seems to be relatively few -- about 50 or so who held unreported accounts at Bank Leumi in Israel. However, the incident has received attention in the mainstream media and among practitioners. The implications for the IRS are much broader than those taxpayers directly affected and are likely to have a much greater impact on the OVDP which has been an overwhelming success. The IRS's disqualification of taxpayers who were previously accepted into the OVDP and in some cases had provided detailed information to the IRS in reliance on their "pre-clearance" to participate in the program, will inevitably affect the ongoing success of the OVDP as a whole. Thus, by reversing its pre-clearance and preliminary acceptance of these taxpayers, the IRS has undermined the ability of practitioners to advise their clients with certainty as to how the program works. In fact, the Model Rules of Professional Responsibility governing the conduct of attorneys requires attorneys to "explain a matter to the extent reasonably necessary to permit the client to make informed decisions regarding the representation." See Rule 1.4 Client-Lawyer Relationship-Communication. Attorneys will now have to advise their clients and prospective clients that they may be disqualified from participating in the OVDP even after they were admitted into the program and disclosed detailed information about their foreign bank account(s). This information will lead some (if not many) clients to hesitate (or decline) to come forward with additional disclosures. Moreover, the IRS's failure to abide by the "rules of the road" in connection with the OVDP may affect the willingness of taxpayers to make voluntary disclosures relating to non-compliance outside the offshore account area. On May 13, 2013, the Supreme Court denied certiorari in In re Special February 2011-1 Grand Jury Subpoena dated September 12, 2011, T.W. v. United States, 691 F.3d 903 (7th Cir. 2012). See Supreme Court Docket Entries, here. The context was a grand jury subpoena for the records that the Bank Secrecy Act "requires" the owner of an offshore account to maintain. There has been an earlier denial of certiorari in In re M.H., 648 F.3d 1067, 1079 (9th Cir. 2011), cert. den. ___ U.S. ___ (2012), but taxpayers' and practitioners' hopes were up on this second petition because of the quality of the presentation in Paul Clement's petition and reply brief in chronicling the shifting Fifth Amendment jurisprudence after the required records doctrine was established and, I think, forcefully arguing that Supreme Court guidance is necessary. See Petition for Certiorari and Briefs on the Required Records Case Presently Before the Court on Petition (5/7/13), here. I have just revised the current draft of my Federal Tax Crimes book as follows: "The two denials of petitions for certiorari would indicate that there is little likelihood of Supreme Court review unless a split occurs in the Circuits, which one can infer from the consistent Circuit holdings is unlikely." Although unlikely, I do think a Circuit split could occur. I think a good argument can be made -- and was made in Paul Clement's petition and reply brief -- that the developments in Fifth Amendment jurisprudence since the Supreme Court's last consideration of the required records doctrine could be read as inconsistent with the required records doctrine. Hence, since all the Supreme Court did was deny certiorari, the Supreme Court has yet to speak on the issue of whether the developments in Fifth Amendment jurisprudence undermine a full bore application of the required records doctrine. Critical mass in the Circuits appears to hold that the required records doctrine survives the broader Fifth Amendment conceptual shift, but that would not foreclose some other Circuit from holding that the required records doctrine does not survive, at least in its full bore application. I don't hold out a lot of hope for that, but I would like to see some discussion and reconciliation of the developments in Fifth Amendment jurisprudence to the required records doctrine. For now, the best discussion of that is in Paul Clement's reply brief on the T.W. petition for ceriorari. For All required records discussions on this blog, click here. Professional and law student readers will likely know what "Upjohn warnings" are. In the classic internal investigation, lawyers representing the entity may interview individuals within the entity. In order to insure that the individuals are not confused about who the investigating lawyers represent -- they represent the entity and not the individual -- good form and ethics require that the lawyers give adequate notice to the individual. The notice is commonly referred to as "Upjohn warnings." See Upjohn Co. v. United States, 449 U.S. 383 (1981). I previously wrote on the issue Upjohn Warnings in Entity Investigations (Federal Tax Crimes Blog 10/14/09), here. Late one Friday morning, Rajat Gupta was rushing through security at Philadelphia International Airport, carry-on in tow, when his cellphone rang. When Gupta heard from Goldman Sachs, on whose board he sat, it was often from its chief executive, Lloyd Blankfein. But on this morning, it was Gregory K. Palm, his old Harvard Business School classmate and the bank’s general counsel, on the line. Palm sounded unusually serious. So Gupta asked if he could call him back from the other side of security. When he did, Palm quickly made two odd disclosures. First, he told Gupta that he had arranged for a colleague to listen in on their conversation. Then he said, “We are representing the corporation, and not you.” Palm wanted to make sure that there was no doubt that this was not a privileged conversation. If the matter evolved into something bigger, their discussion could be handed over to law-enforcement officers. As Gupta listened, Palm stuck to the script that he worked out beforehand. “What can you tell me about Raj Rajaratnam, and have you ever provided him with information about what we do?” he asked. Defendants: Drs. David Leon Fredrick and Patricia Lynn Hough, husband and wife. Maximum Incarceration: Conspiracy - 5 years; Tax Perjury 12 years (4 counts times 3 years each), but actual sentence will be determined by the Sentencing Guidelines subject to departures or Booker variances which are common. Banks: UBS, "Swiss Bank No. 1" (Geneva Private Bank), "Swiss-Liechtenstein Bank No. 1" (Swiss subsidiary of Liechtenstein Bank 1), "Liechtenstein Bank No. 1" (a Private Bank and parent of SLB #1), Swiss Cantonal Bank No. 1 (providing banking services), UK Private Bank No. 1. Entities/Nominees: Yes. A number were involved, both real entities and "Nominee Entities" (these were incorporated in various jurisdictions). According to the indictment, Fredrick and Hough, married doctors, served on the Board of Directors of two Caribbean-based medical schools – one located on Saba, Netherlands Antilles, and one located on Nevis, West Indies. Fredrick had an ownership interest in the medical school on Nevis until 2007, when both medical schools were sold. The indictment alleges that Fredrick and Hough conspired with each other and with Beda Singenberger, a citizen and resident of Switzerland who is under indictment in the Southern District of New York, and a UBS banker to defraud the IRS. They carried out the conspiracy by creating and using nominee entities and undeclared bank accounts in their names and the names of the nominee entities at UBS and other foreign banks to conceal assets and income from the IRS, including the sale of real estate associated with the medical school on Saba and shares they owned in the medical school on Nevis. The real estate was sold for more than $33 million, all of which was deposited into one of their undeclared accounts in the name of a nominee entity. (1) Policy Regarding Requests for the Content of Email Communications under the Electronic Communications Privacy Act and the Stored Communications Act. (2) The IRS will follow the holding of United States v. Warshak, 631 F.3d 266 (6th Cir. 2010), and obtain a search warrant in all cases when seeking from an internet service provider (ISP) the content of email communications stored by the ISP. Accordingly, such information will not be sought from an ISP in any civil administrative proceeding. (3) Any existing IRS guidance that is not in accord with the foregoing policy statement will be updated. An IRS spokesman, when asked whether the May 8 statement applies to all electronic communications or to e-mails only, replied, "We are currently aware of and reviewing this issue, our policies, and our guidance, and will update them as appropriate." In United States v. Walshe, 2013 U.S. App. LEXIS 9149 (10th Cir. 5/6/13), here, an unpublished opinion, the Court dealt with some typical but unexceptional issues in a case involving tax and theft issues. I thought readers might be interested in the Allen Charge instruction which derives from Allen v. United States, 164 U.S. 492 (1896). For some background on the Allen charge, see the Wikipedia entry here. The Allen charge is usually given to a jury when it has difficulty reaching a unanimous verdict. That means that it is given after the jury has deliberated for a while and advised the court it is having difficulty. The charge comes in several variations, depending on circuit, but essentially tells that jury that they have heard the evidence and should with diligence and care be able to reach a unanimous verdict. I offer more general material on the Allen charge at the end of this blog entry after presenting the discussion of Walshe. I'm going to ask that you continue your deliberations in an effort to reach agreement upon a verdict and dispose of this case; and I have a few additional comments I would like for you to consider as you do so. This is an important case. The trial has been expensive in time, effort, money and emotional strain to both the defense and the prosecution. If you should fail to agree upon a verdict, the case will be left open and may have to be tried again. Obviously, another trial would only serve to increase the cost to both sides, and there is no reason to believe that the case can be tried again by either side any better or more exhaustively than it has been tried before you. Any future jury must be selected in the same manner and from the same source as you were chosen, and there is no reason to believe that the case could ever be submitted to twelve men and women more conscientious, more impartial, or more competent to decide it, or that more or clearer evidence could be produced. If a substantial majority of your number are in favor of a conviction, those of you who disagree should reconsider whether your doubt is a reasonable one since it appears to make no effective impression upon the minds of the others. On the other hand, if a majority or even a lesser number of you are in favor of an acquittal, the rest of you should ask yourselves again, and most thoughtfully, whether you should accept the weight and sufficiency of evidence which fails to convince your fellow jurors beyond a reasonable doubt. Remember at all times that no juror is expected to give up an honest belief he or she may have as to the weight or effect of the evidence; but, after full deliberation and consideration of the evidence in the case, it is your duty to agree upon a verdict if you can do so. You must also remember that if the evidence in the case fails to establish guilt beyond a reasonable doubt the Defendant should have your unanimous verdict of Not Guilty. You may be as leisurely in your deliberations as the occasion may require and should take all the time which you may feel is necessary. I will ask now that you retire once again and continue your deliberations with these additional comments in mind to be applied, of course, in conjunction with all of the other instructions I have previously given to you." In United States v. Wanland, 2013 U.S. Dist. LEXIS 64598 (ED CA 5/6/13), here, the Court denied three defense motions to dismiss. I don't think there is anything particularly important about the holdings, but one of the issues permits me to digress on related concepts and another issue offers a good analysis of the law. So, I offer the case and further discussion here. [a] discharge . . . of this title does not discharge an individual debtor from any debt . . . with respect to which the debtor made a fraudulent return or willfully attempted in any manner to evade or defeat such tax. The defendant was not entitled to an order of discharge of his tax liabilities that he attempted to evade. He did get the discharge. Presumably the IRS was represented in the proceeding. The case does not state whether the IRS asserted nondischargeability because of evasion and lost the assertion in the bankruptcy court. A crime often trotted out in criminal tax cases is 18 USC 1001(a)(2), here, the crime of false statements. Often, for example, the first time the taxpayer knows that he is under investigation is when two IRS CI Special agents show up at his home or office, unannounced. The taxpayer is caught off-guard and often will respond to the questions without preparation and often without concern for precision in the words -- either in listening carefully to the questions asked or in formulating the answers given. That interview can be a disaster. It is true that the agents will -- at least should -- give the modified Miranda warnings that the taxpayer is not required to answer questions and may consult an attorney. But too many taxpayers just try to muddle through. The taxpayers answer's -- at least as perceived by the agents -- then sometimes become the subject of a false statements charge. Often the taxpayers perception of his answers is very different than the agents. After the interview, one of the agents will prepare a memorandum of the interview with the Agents' version of what the taxpayer said, and have the other agent sign off on it -- so there is a contemporaneous record verified by two witnesses (not wholly disinterested witnesses, I might add). The taxpayers' version of what he was asked and what he said may be very different, but he does not have a witness and often either does not remember crisply or does not contemporaneously commit to writing what he believes he said. The Agents' memorandum and their memories reinforced by the memorandum can then be powerful evidence against the taxpayer. So, it has been asked, when the stakes are so high, why don't the CI Agents voice record the interview so that anyone in the future will then know the question asked and the answer given and something of the ambiance as permitted by the voice recording? At a time when recording a conversation is as easy as whipping out a cellphone or iPod, the FBI policy on electronic recording of witness interviews is: “agents may not electronically record confessions or interviews, openly or surreptitiously, unless authorized by the SAC or his or her designee.” Instead FBI agents take notes and later type up a summary report called a form 302. The interview takes place with two FBI agents and the single interviewee. The FBI has eschewed the objective for the subjective. I have had several blogs on statistics, sometimes quoting the famous quote attributed to Benjamin Disreali that "There are three kinds of lies: lies, damned lies, and statistics." Those various blogs may be viewed under the key word statistics below, here. In some of the blogs I have questioned DOJ Tax's claims over the years of a 95% conviction rate in the tax prosecutions it brings. Today, I address that issue again. This past week, the IRS released its Annual Business Report on Fiscal Year 2012 National Operations, here. That report has some statistics for 3 years that are consistent with the IRS data book, Table 18 which may be accessed here for the years back to 1995. More about that in a minute. Conviction rate is the percentage of convictions compared to the total number of convictions, acquittals, and dismissals. The conviction rate for FY 2012 is 93.0%, 0.3% more than the FY 2011 rate (92.7%). This claim of 92.7% for 2011 and 93.0% for 2012 is not materially different from DOJ Tax's claims of a 95% conviction rate. So, I will refer to the claims as a 95% conviction rate claim. My first reaction was that perhaps I have been wrong to question such a high conviction rate, since, although not backed with data, the IRS's indicated methodology for calculating the conviction rate seemed sound. But, being the skeptic, I decided to dig deeper. I therefore offer the following analysis from the IRS's own detailed data for a longer number of years to see if I could get to the same or roughly the same indicated conviction rate. My analysis below summarizes the more detailed analysis in a spreadsheet I offer for download here (a zip file). I was quoted recently in a Wall Street Journal article. Laura Saunders, Leniency for Offshore Cheats (WSJ 5/5/13), here, subtitled Courts Hand Down Lighter Sentences Than in Other Types of Tax-Shelter Cases. Unfortunately, the link I have requires subscription, but I think readers of this blog will get the gist of the article from the title and subtitle. I have received some comments that I seemed to be advocating for stiffer criminal penalties for offshore cheats. I thought I would use my blog to give the nuance I actually intended. I simply was saying that the discrepancy in sentencing in the two classes of cases seems inconsistent. "The cases involving offshore bank accounts are drawing lighter sentences than other criminal tax cases," said Mr. Townsend, who practices at Townsend & Jones LLP in Houston. He calls the discrepancy "troubling, because cheating is cheating." The Internal Revenue Service is teaming up with tax authorities in the United Kingdom and Australia to battle offshore tax havens after uncovering new information on specific taxpayers and advisors. The tax administrations from the U.S., Australia and the U.K. announced a plan Thursday to share tax information involving trusts and companies that hold assets on behalf of residents in jurisdictions throughout the world. The IRS said the three nations have each acquired a substantial amount of data revealing extensive use of such entities organized in a number of jurisdictions including Singapore, the British Virgin Islands, Cayman Islands and the Cook Islands. The data they have acquired purportedly contains both the identities of the individual owners of these entities, along with the advisors who assisted in establishing the entity structure. The IRS said it has been working together with the Australian Tax Office and the U.K.’s HM Revenue & Customs to analyze the data they have acquired and have already uncovered information that may be relevant to the tax administrations of other jurisdictions. The IRS said they have also developed a plan for sharing the data, along with their preliminary analysis, if requested by those other tax administrations. I did not realize this earlier, but the key new information in the article is pretty much taken from IR-2013-48, May 9, 2013, titled "IRS, Australia and Unite Kingdom Engaged in Cooperative Effort to Combat Offshore Tax Evasion," here. Labels: Australia, BVI, Cayman Islands, Cook Islands, Singapore, U.K. In United States v. Perry, 714 F.3d 570 (8th Cir. 2013), here, the defendant was convicted for four counts of evasion (Section 7201) for years in which he received kick backs. The taxpayer raised a number of garden-variety points on appeal, and all were rejected by the Court of Appeals. I address only one today because I had not seen it before and thought students might find it interesting. Apparently, during the years he took the kickbacks and failed to pay report and pay the taxes, the defendant was married and filed a joint return with his wife. The sentencing court required that he pay restitution (principal and interest) on the tax liability as a condition of supervised release. That liability, of course, was a joint and several liability (unless the wife qualified for innocent spouse relief, which was not indicated in the case). But, if the defendant had to pay the restitution, then his wife would have to pay nothing on their joint and several liability. That annoyed him because, he claimed, they were now divorced and she benefited from the income and taxes not paid and equitably should pay some (meaning, in the context in which he raised the claim, the amount of the award for restitution should be decreased). 4. Finally, Perry argues the district court should have "split" his restitution tax liability because it is "grossly unfair" to permit ex-wife Tammy to reap more than half the benefits from their joint tax evasion in the subsequent divorce, while making Perry repay the IRS's entire loss. This is not an issue of law because the restitution statutes only grant authority to "apportion liability" among multiple defendants, and Tammy was not a co-defendant. See 18 U.S.C. § 3664(h). Therefore, we question whether the district court had discretion to order Perry to pay an amount of restitution less than the IRS's entire tax loss; joint filers are jointly and severally liable for income tax deficiencies. See 26 U.S.C. § 6013(d)(3). But even if the court had such discretion, it was not abused. Noting that the IRS may seek recovery of taxes owed from either Tammy or Perry, the district court eliminated any risk of double recovery by expressly providing that "[t]he restitution amount attributable to the tax deficiency shall be reduced by any portion of the tax deficiency received by the Internal Revenue Service from Tammy Perry, Mr. Perry's ex-wife." That was an eminently fair ruling. Global banking major HSBC has said it may face "significant" penalties from the US authorities with regard to an ongoing probe into suspected tax evasion by the US-based clients of its Indian unit, among other cases. The US tax department is investigating possible evasion of federal income taxes by the American residents of Indian origin through use of their accounts with HSBC India. HSBC said in a regulatory filing last night that it is cooperating with the US Department of Justice and the Internal Revenue System (IRS) in their probes into whether certain HSBC companies and employees acted appropriately in relation to certain customers with US tax reporting requirements. The article also addresses another exposure due to an SEC investigation "related to HSBC Private Bank Suisse SA's cross-border policies and procedures and adherence to US broker-dealer and investment adviser rules and regulations when dealing with US resident clients." I recently wrote on the filing of a petition for certiorari a case raising the issue of the continuing viability of the required records doctrine that the courts of appeals have recently applied in offshore bank record subpoena cases to override the Fifth Amendment privilege through the Act of Production doctrine. See Petition for Cert filed in FBAR Required Records Case (Federal Tax Crimes Blog 1/18/13), here. The case is In re Special February 2011-1 Grand Jury Subpoena dated September 12, 2011, T.W. v. United States, 691 F.3d 903 (7th Cir. 2012), petition for cert (Sup. Ct. No. 12-853). The Supreme Court docket on the case is here. In my prior posting, I provided a link to the petition for certiorari. I write today to provide that link again, along with links on the other filings, including amicus briefs. T.W. 's Petition for Writ of Certiorari, here. Government Brief in Opposition, here. Briefs of Counsel for Similarly Situated Jane and John Does, here. Brief of Former Officials with the Department of Justice, Tax Division, and Internal Revenue Service, here. Brief of New York County Lawyers' Association, here. For those with limited time, I do recommend T.W. 's Reply Brief. As most of us are aware, the failure to comply with the tax law can lead to civil and criminal tax penalties. But tax noncompliance has other consequences as well. Collateral sanctions for tax noncompliance, which are imposed on top of tax penalties and are often administered by agencies other than the taxing authority, increasingly apply to individuals who have failed to obey the tax law. They range from denial of hunting permits to suspension of driver’s licenses to revocation of passports. Further, as the recent Supreme Court case Kawashima v. Holder demonstrates, some individuals who are subject to tax penalties for committing tax offenses involving “fraud or deceit” may even face deportation from the United States. Criminal law scholars have written dozens of articles on the collateral consequences of convictions. Yet tax scholars have virtually ignored collateral tax sanctions, even though their use by the federal and state governments is growing. This article examines the recent series of criminal prosecutions against tax professionals and offshore bankers. These criminal cases, brought against the largest Swiss bank (UBS), the oldest Swiss bank (Wegelin), one of the largest accounting firms in the world (KPMG), as well as numerous lawyers and accountants, was a dramatic shift for the U.S. Department of Justice. After decades of tolerating abusive tax shelters and tax haven banks, the Government changed its policy. However, rather than indicting the individuals and corporations who invested in tax shelters or hid money in offshore accounts, the Justice Department indicted the lawyers, accountants, and bankers who advised them. This article will analyze those prosecutions from a theoretical, historical, and practical perspective, and will examine the impact the new prosecution policy will have on the legal professional, the tax system, and international relations. This is the first article to examine these issues, and it is a combination of my prior scholarship involving tax shelters and criminal tax matters, including my casebook TAX CRIMES. The article will be of great interest to anyone teaching or practicing in the areas of taxation, criminal law, and criminal theory. It will also appeal to those interested in the role of lawyers and other professionals within the legal system. It therefore should have wide appeal amongst faculty readers, as well as practitioners and policy-makers. In United States v. Turner, 718 F.3d 226 (3rd Cir. 2013), here, the Third Circuit affirmed a tax conviction in which foreign bank documents were admitted in the Government's case in chief. At trial, the defendant objected to the admission of those documents. On appeal, the defendant renewed his objections. The defendant raised two objections -- authenticity and admissibility. The Third Circuit affirmed. The background was as follows: The defendant was the author of a tax evasion program to "escape federal and state income taxation." The defendant sold the program to a veterinarian named Leveto. The program was essentially a mirage, with Leveto retaining control of the income which apparently found its way to foreign and domestic bank accounts. The IRS obtained and executed a search warrant on Leveto's home and business. In that search, the IRS seized certain documents, including foreign and domestic bank records. The grand jury indicted the defendant, Leveto and the Leveto's wife for a Klein / defraud conspiracy. At trial, over defendant's objection, the court admitted (i) recorded conversations of the veterinarian with an IRS sting agent under FRE 801(d)(2)(E); and (ii) the bank documents. I focus here on the bank documents. Federal Rule of Evidence 901(a) requires the authentication of evidence before a district court may admit it. The standard for authenticating evidence is "slight," McQueeney v. Wilmington Trust Co., 779 F.2d 916, 928 (3d Cir. 1985), and may be satisfied by "evidence sufficient to support a finding that the item is what the proponent claims it is." Fed. R. Evid. 901(a). This Court does not require conclusive proof of a document's authenticity, but merely a prima facie showing of some competent evidence to support authentication. McQueeney, 779 F.2d at 928; United States v. Goichman, 547 F.2d 778, 784 (3d Cir. 1976) (per curiam). "Once a prima facie case is made, the evidence goes to the jury and it is the jury who will ultimately determine the authenticity of the evidence, not the court." Goichman, 547 F.2d at 784. While the most recent offer – the 2012 Offshore Voluntary Disclosure Program (OVDP) – remains open indefinitely, the IRS’s recent decision to disqualify approximately 50 taxpayers who disclosed Bank Leumi accounts could undermine the program’s continued success. The about-face was evidently caused by miscommunication between the IRS, which administers the OVDP, and the DOJ, which apparently obtained the names of these accountholders through a separate investigation. Rather than living with its mistake, the IRS disqualified these individuals from the program. While taxpayers who were disqualified after they had been “pre-cleared,” but before they completed the next stage of the process arguably were not prejudiced by the IRS’s reversal, taxpayers who had relied on the pre-clearance and submitted detailed information will be materially worse off in the event criminal charges are brought. Perhaps recognizing the potential hazards caused by the snafu, Assistant Attorney General for the Tax Division Kathryn Keneally publicly assured the disqualified taxpayers that the DOJ would “consider the facts and circumstances under which any substantive disclosures were made, and the fairness of proceeding” criminally. Precisely what this means is unclear; at a minimum it likely means the DOJ will not use information obtained from the OVDP submission in the event it prosecutes any of these taxpayers. [i]t is doubtful that the Bank Leumi accountholders who not only applied for the OVDP, but had been pre-cleared or preliminarily accepted only to find themselves bounced from the program, will face incarceration if prosecuted. Under the circumstances, perhaps the IRS should reconsider its treatment of the Bank Leumi accountholders, readmit them to the OVDP and thus restore confidence that it is administering the program fairly and consistently. In United States v. Coplan, et al., 703 F.3d 46 (2d Cir. 11/29/12), here, the Second Circuit entered a remarkable decision on many fronts, but the one I found most fascinating was the majority panel's questioning of the scope of the so-called Klein / defraud conspiracy. I previously blogged on the majority's Klein conspiracy analysis in this blog entry -- Coplan #1 - Panel Questions Validity of Klein Conspiracy (Federal Tax Crimes Blog 12/1/12), here. (I wrote a number of blogs on other aspects of Coplan; a roadmap to those other blogs is in this blog entry: Major CA2 Decision on E&Y Tax Shelter Convictions (Federal Tax Crimes Blog 11/29/12), here. Mr. Coplan has petitioned for certiorari on the blockbuster Klein conspiracy issue. The petition is here; the docket sheet is here. Mr. Coplan has assembled a formidable team for this frontal assault, including Dennis P. Riordan of Riordan & Horgan, San Francisco, here, who wrote the Second Circuit brief that captured the Second Circuit majority's interest, and Paul Clement of Bancroft LLC, former Solictor General and a major player in Supreme Court practice, here. For background on the expansive scope of the Klein conspiracy, see my prior blog Coplan #1 - Panel Questions Validity of Klein Conspiracy (Federal Tax Crimes Blog 12/1/12), here; see also my earlier article, John A. Townsend, Tax Obstruction Crimes: Is Making the IRS's Job Harder Enough, 9 Hous. Bus. & Tax. L.J. 255 (2009), here, and its companion online Appendix, here. In a nutshell, the argument raised by the petition is that the key statutory word "defraud" has a settled meaning but that, over the years, that word in the conspiracy statute has expanded through judicial opinions to mean something much broader and sufficiently ill-defined to permit more mischief than the Constitution allows -- i.e., it is has become a common law rather than a statutory crime. I excerpt certain key portions of the petition. A reporter for a nationally prominent publication has contacted me to help him get in touch with people who have gone through one of the OVDI/P programs to discuss their experiences and thoughts about the programs. If you are interested and/or willing to do that, please contact me at jack@tjtaxlaw.com and I will put you in touch with the reporter. As with any reporter, there is no requirement that you speak at all or, if you do, share your personal information with the reporter. Make sure that there is a clear understanding between you and the reporter as to the information you share and how the reporter can use that information. He seems to be an excellent and reputable reporter and will honor his commitments to you. One of the Co-Authors of the LEXIS-NEXIS Tax Crimes book, here, has posted to SSRN the following article that will be published in 2014: Scott A. Schumacher, Magnifying Deterrence by Prosecuting Professionals, 89 Ind. L.J. ___ (2014), here.